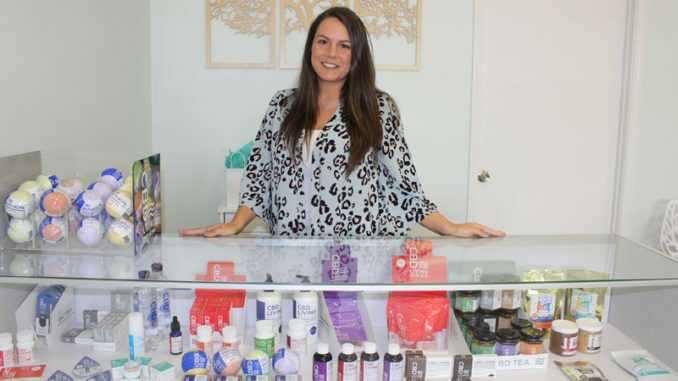 Kaya’s CBD Retreat will introduce its hemp line of products at an April 6 grand opening with samples and a free T-shirt to those who purchase more than $50, as well as storewide discounts and raffles. Nick and Brandy Nichols own the store, which is located above Planet Beach, Subway and Vape Escape in St. Charles Plaza in Luling. 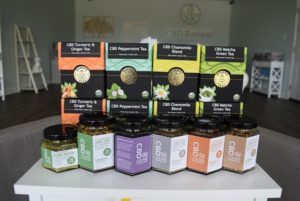 The store, which opened in February, features products with CBD or what some have identified as the medicinal derivative of hemp, which was deregulated in the federal Farm Bill passed in December. Marijuana’s THC is legally allowed at or below below 0.3 percent. “Everything we sell is third party lab tested,” said Brandy Nichols. It ensures the product contains CBD, as well as the allowable levels of it. CBD has been connected to numerous medicinal benefits, which can aid people with epilepsy, MS and seizures. Brandy said she has customers who also take it for headaches, nausea, tremors, anxiety and depression, but products also include those like hair, facial and body items, as well as pet products. The Nichols opened the vape shop, Vape Escape, also in the shopping center, five years ago and more recently opened Kaya’s CBD Retreat, which is named after their eight-year-old daughter. 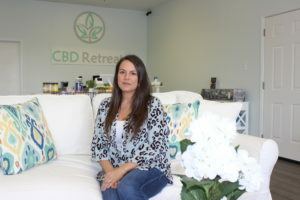 When numerous customers came to their vape store requesting CBD, the couple decided to open a new location for the products. 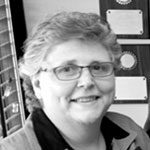 Brandy is also a Realtor and account executive in staffing in addition to operating the stores. Since graduating from Hahnville High School, she has built a career with many hats as part of she and her husband’s love for entrepreneurship. One of the product lines is called Charlotte’s Web, which is a recognized line with balms, topicals, capsules and tinctures with a high level of CBD. Brandy said they were designed to assist people with seizures and/or epilepsy. Another line, called CBD Living, is unique because of its nanotechnology. The nanotechnology process allows for CBD to be absorbed into the body nine times more efficiently. It also provides an isolate (pure CBD), an ultra-fine powder that can be added to items like soap or baked foods. CBD or cannabidiol was discovered in 1940 as a plant extract with studies on its benefits including combating anxiety, movement disorders and pain. The extract can have trace to zero amounts of THC or terpenes. Epidiolex, a cannabidiol drug, has been approved by the Food and Drug Administration to treat two epilepsy disorders. The creator of Jelly Belly is making a CBD-infused jelly bean.